I’m a hot tub nut. While we don’t have one at home, we have a recreation center 5 minutes from our house that offers a hot tub, pool, sauna and steam room. It’s also where our kids do swimming lessons so I go there 2 to 4 times per week. While my first choice would be a sauna at home, a hot tub would be nice. Based on popularity at gyms and rec centers I’ve gone to over the years, hot tubs are by far the most popular compared to saunas and steam rooms. If you’re looking to buy a hot tub, then you have a lot of decisions to make because there are many hot tub options to choose from. Below we set out those options and various types to choose from. If you want to have the most choices for size, colors, features, and seating configurations of any hot tubs available, then you will want to consider a portable hot tub. These traditional hot tubs are what most people think of when they picture a hot tub in their mind. They were developed shortly after wood hot tubs, and they are incredibly durable and permanent. They also tend to be much more energy efficient and to offer higher performance than other types of hot tubs. While they are portable in that you can move them to a new location, they are not lightweight and typically take a lot of work to move. Additionally, they need to have a special pad in place to support their weight. These hot tubs are generally built into a deck or in a specialized room in the home and allow the owner plenty of place to swim and to exercise. They are very bulky, and even after they were being built as self-contained units, they still needed a solid foundation on which they could be placed. Because they are larger than a traditional hot tub, you can easily swim and exercise in them, which is great if you are looking to get into shape or need to work out in a warm environment. Unfortunately, they are not without their own set of drawbacks. They are generally much more expensive than traditional hot tubs are, and they are very large, so you have to have a dedicated space for them. Finally, they have high operating costs due to needing so much water to operate and because of the electricity needed to keep the water at the proper temperatures at all times. These hot tubs are a great option if you want hydrotherapy, but you can’t afford an incredibly expensive swim spa tub. They are not nearly as lightweight as inflatable hot tubs are, but they are much more affordable and durable. Because they generally weigh under 300 pounds and offer contoured seating, it is very easy to move your hot tub to the desired location and to get comfortable when you are sitting in them. Unfortunately, these hot tubs aren’t as efficient as other, traditional models, and they tend to be much less attractive due to their plastic appearance. However, because they are made of single piece of material that has been molded into shape, they are incredibly strong and less likely to be damaged. Most backyard in-ground hot tubs are built adjacent to or as part of an in-ground swimming pool. These hot tubs are usually a custom job and require a permit and for the work to be performed by a professional. Immediately, this means that they are going to be much more expensive than a hot tub that you can buy in a store, but it also means that they can be customized to perfectly meet the needs of the owner. There are two options when you want an in-ground hot tub. The first is to buy a shell that can be placed into a hole that has been dug in the ground. You can also have a concrete hot tub installed. This is beneficial if you are worried about the aesthetics of your hot tub and how it will look when compared to the rest of your yard. Because these hot tubs are built into your ground, and because the area can be easily landscaped, you don’t have to worry about the hot tub looking like an afterthought. Unfortunately, due to their increased cost and the lower performance that they generally offer, these hot tubs aren’t a great choice for everyone. They cost more to heat and operate. Since they are often installed farther away from the home, they are much less convenient than above ground hot tubs that are placed right outside of the home. These are considered the first type of hot tub and were made around six decades ago. Originally designed as personal tubs for soaking, they soon became similar to the hot tubs that we have and use now. When you are considering a wood hot tub, it’s important that you pay attention to the heating source. There are some hot tubs that can use a wood fire heater, electric heater, gas heater, or combination. The heat source plays a huge role in how quickly your hot water will heat up and where the hot tub will be located. They are very aesthetically pleasing to some buyers, and redwood and cedar hot tubs have an added benefit of providing a lovely aromatherapy while you are soaking. Unfortunately, they are not any less expensive than traditional hot tubs and are very bulky. Finally, they often require assembly and do not have all of the fun features that many people want when they buy a hot tub. These hot tubs are very new to the hot tub market and tend to be not only fairly inexpensive, but also easy to move to a new location. They are often made of laminated PVC material or polyester, and come in a variety of shapes and with many different features to choose from. 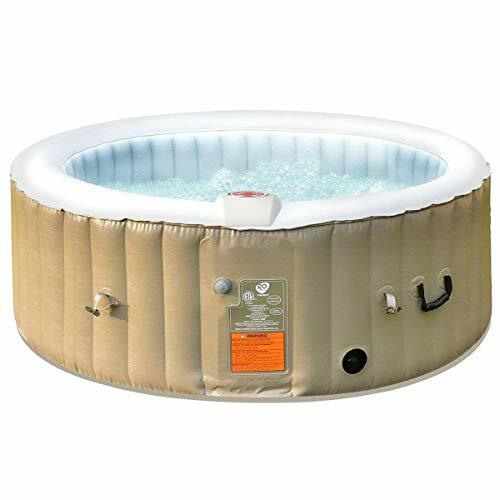 Most inflatable hot tubs can get the water very warm, and they conveniently plug into a 110v outlet, which means that you don’t need to have any special electrical work completed at your home for your new hot tub. They are much less durable, as they can be punctured, and they tend to be less comfortable, as there are no molded seats. Finally, they cost more to heat and to run than traditional hot tubs. While many people think that these hot tubs are the same as inflatable hot tubs, there are a few differences. One of the main differences is that soft sided hot tubs are usually only found for sale on the internet or in booths at fairs. This is because very few dealers will stock them in their showrooms. Just as inflatable hot tubs, these plug into a 110v outlet and don’t need any major electrical work to be completed for their installation. However, they are not very comfortable to be in for long periods of time, aren’t efficient to run, and do not offer the high-quality performance that traditional hot tubs do. The hot water in a hot tub will help you to immediately start to relax, but if you want to feel your best when you get out of the water, then you need to opt for a hot tub that has massaging jets. These jets can usually be moved and angled so that you can make sure that you are going to really massage and relax your sore or tight muscles. They are a fun way to keep the water moving, and when angled correctly, they will help to relieve any muscle soreness that you may feel. While there’s nothing wrong with using a hot tub in the dark, LED lights are a fun way to make spending time in the hot tub even more exciting. While you can opt for lights from the roof of your porch or deck to light up your tub, having lights inside the tub is very fun. This also means that if your hot tub isn’t near your home or other structure with lights, you can still enjoy having light in the water so that it is not so dark. It’s important that you have a cover for your hot tub, not only so that you can prevent leaves and bugs from getting into the water, but also so that you can help to hold in the heat from the water. Not using a cover with your hot tub will result in higher operating costs, as the heat will leave the water and your hot tub will be required to work harder and for longer periods of time to heat the water back up. While there are some hot tubs that don’t have covers, when you buy one of these, you will have to make sure that you purchase a cover, as well. Buying a hot tub with an included cover will save you time and money. It also ensures that the cover will fit your hot tub correctly and that you won’t have problems with getting one too large or too small. There are few things more enjoyable than listening to music when in a hot tub, but keeping your electronics nearby can be dangerous, as you don’t want them to become damaged in the water. When you choose a hot tub that has built-in speakers, then you don’t need to worry about whether or not your phone or radio is too close to the water. These speakers are generally made to be safe, even when they are exposed to small amounts of water without being damaged, which is why they are a great option for people who want to listen to music in the hot tub. If you want to experience a truly rustic feeling when you are in your hot tub, then you will want to consider buying one that is wood fired. The obvious benefit of this type of hot tub is that you don’t have to worry about how you are going to supply electricity to the hot tub, which means that you can place it as far away from your home as you want. The downside that you will deal with when you opt for a wood fired hot tub is that you have to start a fire in order to heat up the water. You need to be willing to get out of the hot tub when the water starts to get cool to put more wood on the fire. Additionally, you have to have enough wood around to make building a fire easy. While most hot tubs are only used to make a warm environment to rest and spend time with others, if you want to make sure that you get as much use out of your hot tub as possible, then you will want to look for one that also has cooling capabilities. This means that you can enjoy cooler water during the hot summer months and don’t have to wait for the weather to cool down to really be able to enjoy your hot tub. Not all tubs offer this feature, so if it is one that is important to you, then you need to make sure to double-check how cool the tub can make the water. Spending time in hot water after a long day is a great way to relax, but if you have hard water, then you will want to consider a hot tub that has a built-in water treatment system that can reduce the problems that occur when you are exposed to hard water for extended periods of time. Not only is hard water hard on the skin and on bathing suits, but it can also reduce the life of your hot tub, which is why treating it is important. 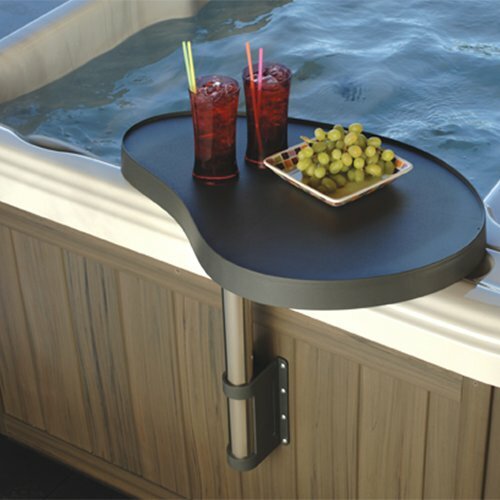 A built-in system makes treatment easy and allows you to enjoy the hot tub without worrying about the quality of your water. 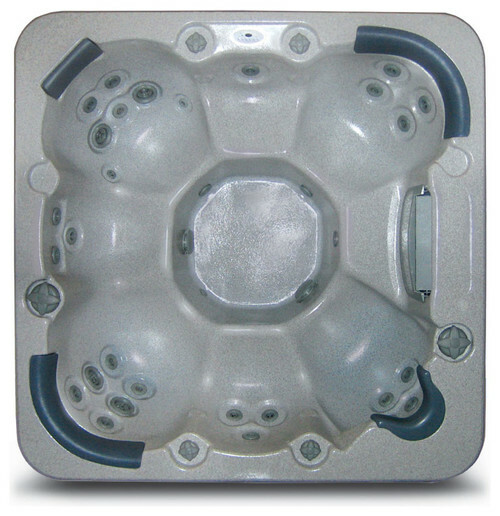 If you want to be as comfortable as possible in your hot tub, then you will want to look for one that has molded seats. These seats provide you a place to sit and also give you plenty of support so that you are not trying to sit up straight or find a comfortable position on the ground. Depending on how many people you want to have over at a time, you can easily opt for private hot tubs with only two seats or ones that are much larger so that you can easily entertain a group of people and have plenty of space for everyone to sit. Enjoy the sound and feel of running water when you choose a hot tub that has waterfalls. These are designed to allow the water to cascade over your shoulders and back into the hot tub, which is a wonderful sound and is also very relaxing. This is not a feature that all hot tubs will have, but is a wonderful way to really relax at the end of a long day, so it is worth looking into if you enjoy the sound of running water. Most people who have a hot tub at their home will use a chlorinated tub, but there are a number of benefits to opting for a hot water system. Not only is salt water much more sanitizing than fresh water is, which means that you won’t need to use as much chlorine to clean and disinfect the tub, but warm salt water can be a great way to fight swelling as well as edema. Additionally, these tubs are known to remove tension, release muscles, and help you relax. Salt water hot tubs aren’t as drying as traditional hot tubs are, and they also offer joint pain relief to people who suffer from arthritis. Circular hot tubs have become more and more common as people realize that they are generally smaller, less expensive, and more portable than traditional square hot tubs. Due to their shape, they can often be squeezed into tight areas around your home or in your yard, and they will still allow you to relax and rest. When you choose a circular hot tub, it is important that you understand that you are going to be enjoying a much more intimate space. This is because there aren’t any clear delineations of places for people to sit, as there are in triangular and square hot tubs. This shape of hot tub is not very common, mostly because it has to have a specific size and shape location for its installation. However, if you are short on space, but you have your heart set on having a hot tub, then you will want to consider a triangular tub. The downside of these hot tubs is that they generally do not offer as much room inside of them as traditional square hot tubs do. However, they can fit into tighter locations and are ideal if you don’t have room for a larger option. This is the most traditional shape of all hot tubs that are available on the market. Square hot tubs are familiar to most people and have a number of benefits, including the fact that they have clear space delineated for the users and that they can fit neatly up against a home or in the corner of a deck or porch. If you do not want your hot tub to feel like an eyesore or to be in the way, then you will want to consider a square hot tub, as it can be pushed out of the way and left in a corner until you are ready to use it. This means that it will not take up a lot of space or an awkward amount of space the way that circular hot tubs, in particular, do. If your main goal in your new hot tub is to be able to stretch out and really relax, then you need to opt for a hot tub that is longer than normal. These will allow you to really stretch out your legs and won’t make you feel like you have to sit in a cramped position. While they are larger than square hot tubs are, rectangular hot tubs are beneficial for many of the same reasons. They can be located in the corner of a deck, yard, or patio so that they do not take up too much space or become an eyesore. Additionally, they usually have molded seats so that you will enjoy full body support when you are relaxing. One of the main reasons that these hot tubs are so popular is that they can easily be plugged into any outlet without any electrical work. They are easy to start using right away, which will decrease the amount of time that you spend setting up your new hot tub, as well as how much money you spend on getting it installed. While you have to hire someone to prepare your electrical system for the extra power needed by these hot tubs, when you opt for a 240v hot tub, you will enjoy much faster heating time. While many people think that these hot tubs will have better power, that isn’t true. They are able to support more pumps, but this doesn’t translate into the jets being any more powerful. If you want a larger hot tub or one that has more features, a 240v hot tub may be the best option for you. Smaller hot tubs are ideal if you want to spend time by yourself in your hot tub or with just another person. They are generally less expensive to buy and to operate and take up much less space at your home. 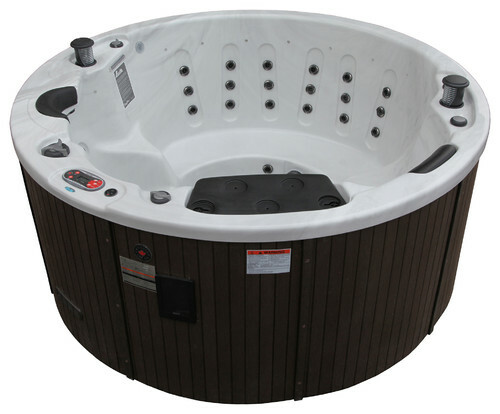 Ideal for a small family, a hot tub that seats 4-5 people is a fairly average size tub. While they aren’t the most cost effective choice on the market, they also are not very likely to break the bank. Larger families or people who love to entertain guests and have them in the hot tub will want to opt for a model that can seat 6-7 people. These are starting to be more expensive and will require more room, however they have ample space for a group to share. The largest hot tubs on the market come with an increased price tag and are more expensive to operate on a day to day basis; however, they are great for spreading out and really getting comfortable. They are also the best option if you love to entertain and regularly have people over to your home to spend time in the hot tub.